With the wide acceptance of smartphones and tablets, more and more businesses are looking to leverage iPhones, iPads, and iPods for a variety of data collection and tracking needs. One of the main challenges encountered when using an iOS device is being able to scan barcodes and read the magnetic stripe on credit/debit cards. While there are scanner apps to use a camera as a barcode reader, businesses that will have a consistent scan volume or need for accuracy will find this to be slow and cumbersome. This is where a dedicated scanner sled is the perfect solution. 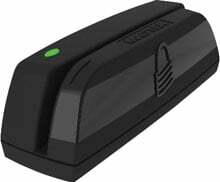 The range of sleds currently available can provide 1D or 2D scanning and some models add MSR and RFID reading. The chart below is a simple breakdown of the various sleds, their capabilities, and which iOS devices they are compatible with. No matter what your needs are, there is a scanner sled that can meet them. For additional assistance finding the right sled for your business, contact us at BarcodesInc. Expand the capabilities of your Apple iPod Touch with Honeywell’s Captuvo SL22. Honeywell has announced the launch of their new Captuvo SL22 enterprise sled for the Apple iPod Touch. Designed specifically for businesses seeking to improve their customers’ experience, the Captuvo SL22 transforms the popular and familiar Apple iPod touch into an enterprise-ready device that fosters a deeper level of customer interaction and engagement. 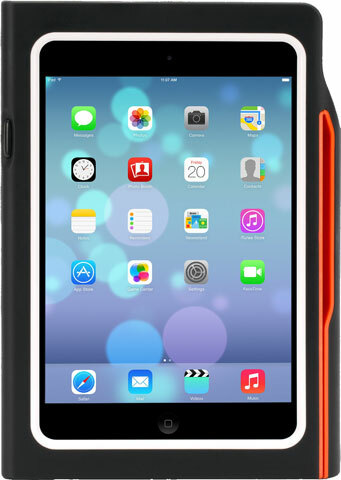 Compatibility with the iPod touch provides workers with access to the over 650,000 apps. Additionally, with Honeywell’s Remote MasterMind 3.0 device management software, businesses can remotely manage the deployed iPod touches as well as any other devices running iOS, Google Android, or Microsoft Windows. In today’s market, organizations are facing increasing demand for faster and better service and the Captuvo SL22 is the right solution to help elevate their brand, empower employees, enhance the customer experience, and drive top-line growth and customer loyalty.